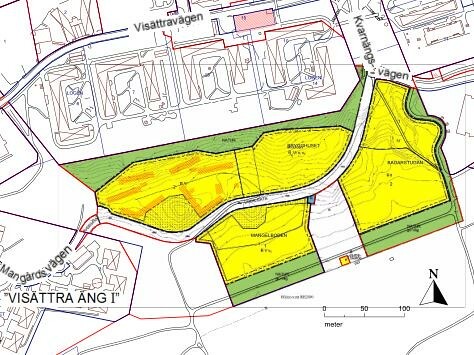 Huddinge Municipality assigned the names of two roads passing through BoKlok Visättra Ängar and BoKlok Solhöjden. The main road which pass from all four Område is called “Småbruket backe”. On the right side it connect with Karnängsvägen and on the left side it join with Mangårdsvägen. 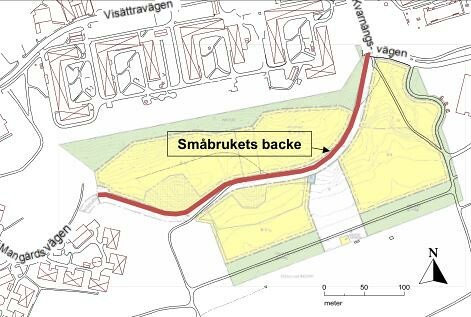 The name “Småbrukets” came from old town map of 1947 which indicate a pathway name “Småbruket”. 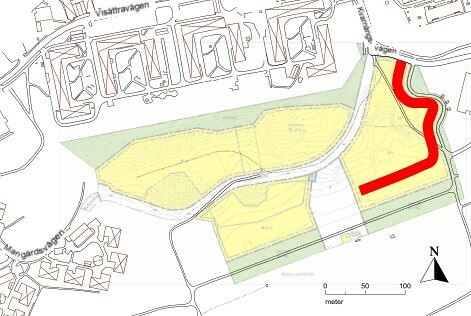 The 2nd road which will only be used by BoKlok Visättra Ängar and BoKlok Solhöjden is named “Visättra backe” and It only join at north with Karnängsvägen.